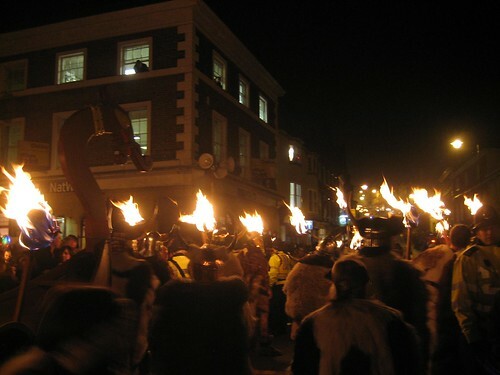 Lewes Bonfire is held every year on the 5th of November, the celebrations are made up of large torch lit procession around Lewes streets followed by a number of bonfires and firework displays in the surrounding fields. 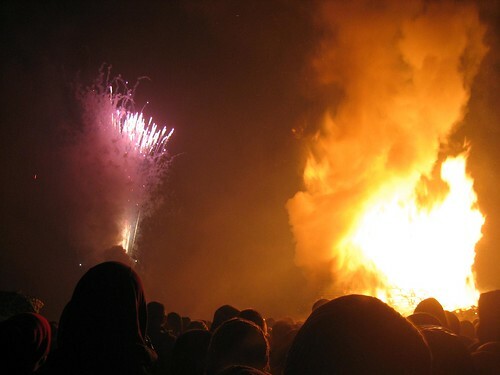 The event is organised by the local bonfire societies based in Lewes and some surrounding towns and has to be the craziest bonfire night celebration in the South of England if not the whole of the UK. Each Society has its own costumes and makes for a great sight as they parade the streets in the processions. 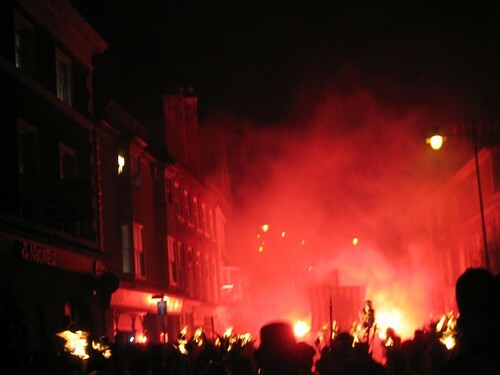 The atmosphere at Lewes Bonfire is pretty crazy, a lot of people attend, this year 50,000 into a fairly small town. As the touch lit processions pass the night is light up by red flairs and flashes from bangers being set off right in front of you. Getting the train from Brighton this year went pretty well, getting a train 6ish we got straight on and were in Lewes in no time. Getting back wasn’t quite so easy queuing for about an hour before cramming on board a train home. Its probably best to bring your own alcohol as the pubs seemed pretty full, there’s quite a heavy police presence but we survived without any of our booze getting confiscated. 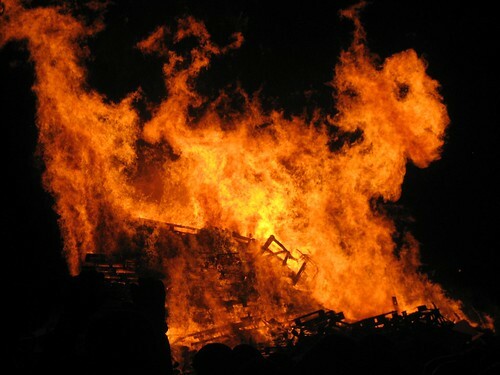 After the processions had come to an end we went to the biggest free bonfire organised by Waterloo Bonfire Society. The huge bonfire seemed to take an age to catch as the rain drizzled harder and harder. The firework display that follows the lighting of the bonfire is probably what I look forward to most but it didn’t seem to be quite as spectacular this year as it had been in previous years. It may just have been the drizzling rain, but they didn’t fill the whole sky up like I remember in past occasions. We were however treated to some fantastic displays that were still going on as we queued for the train home. The firework display was disappointing by previous year’s standards but I was told by someone high up in WBS that at least a third, the most spectacular third at that of the fireworks didn’t go off. A real shame on what was otherwise a fantastic night……as ever!